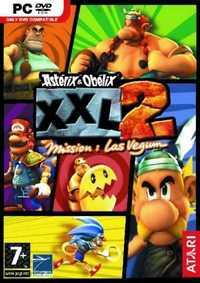 Asterix &amp; Obelix XXL 2: Mission: Las Vegum takes the cultural references and self-referential themes of the comics and applies them to video games. Dozens of familiar franchises, characters, sights and sounds appear as players explor...MoreAsterix &amp; Obelix XXL 2: Mission: Las Vegum takes the cultural references and self-referential themes of the comics and applies them to video games. Dozens of familiar franchises, characters, sights and sounds appear as players explore Julius Caesar's Las Vegum resort. See it for yourself before the copyright lawyers do!